Television networks ABS-CBN, TV 5, and GMA seemed to have enforced a "ceasefire" to the network wars for this event. Representatives from each network performed in the special. Tonight, September 30, the special will be aired at 10:30 p.m. by the three networks simultaneously; even the commercial breaks will be the same. 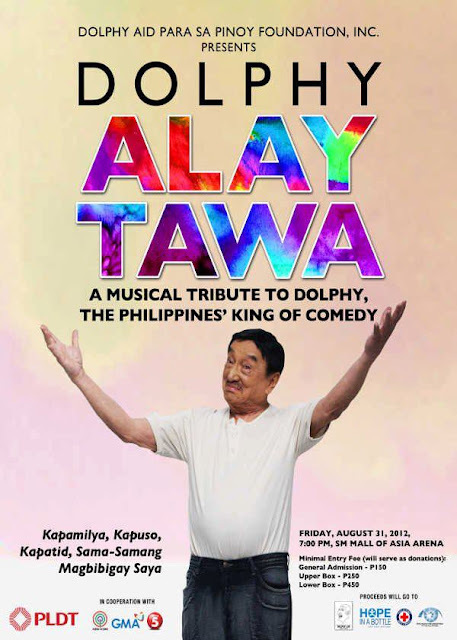 Proceeds of the special were for the benefit of the Dolphy Aid Para sa Pinoy Foundation, Friends of Hope, Eye Bank Foundation of the Philippines, and Philippine Red Cross.